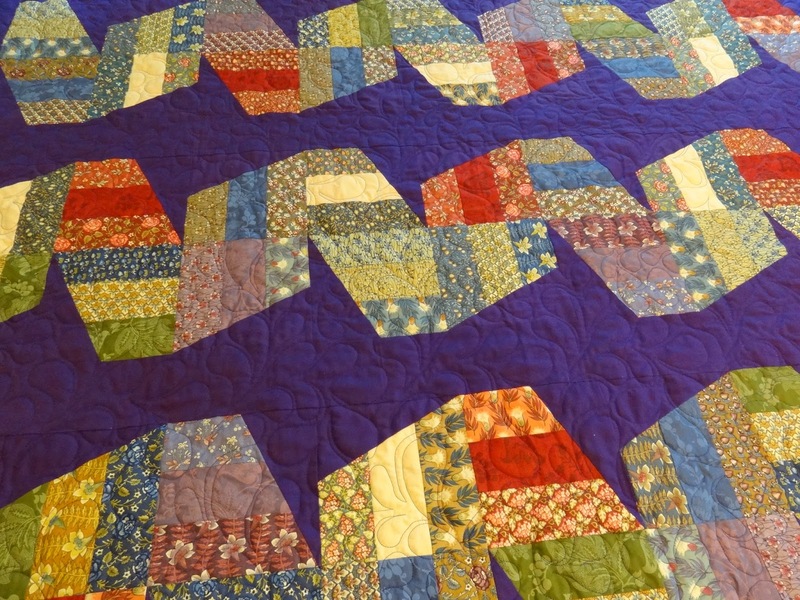 What a happy and vibrant quilt. I'm sure your friend will feel like she's wrapped in a big quilted hug. The backing is perfect! Can't wait to see the result of your grape bounty turned raisins. Nice quilt! I like the happy, funky design (and I know your friend will too) and I agree...the backing fabric is perfect! Glad your grapes are doing so well - have fun with your new dehydrator. What a beautiful gesture of love for your friend!!! I really like the design. It looks like twirling ribbons. Raisens??? Great idea. Those will be wonderful year round. Beautiful and such a heart felt gift to your friend. What a lovely quilt it should bring a big smile for your friend ! Have fun making raisins ! I've never seen that pattern before. How cool is that!!! And the colors are so regal. 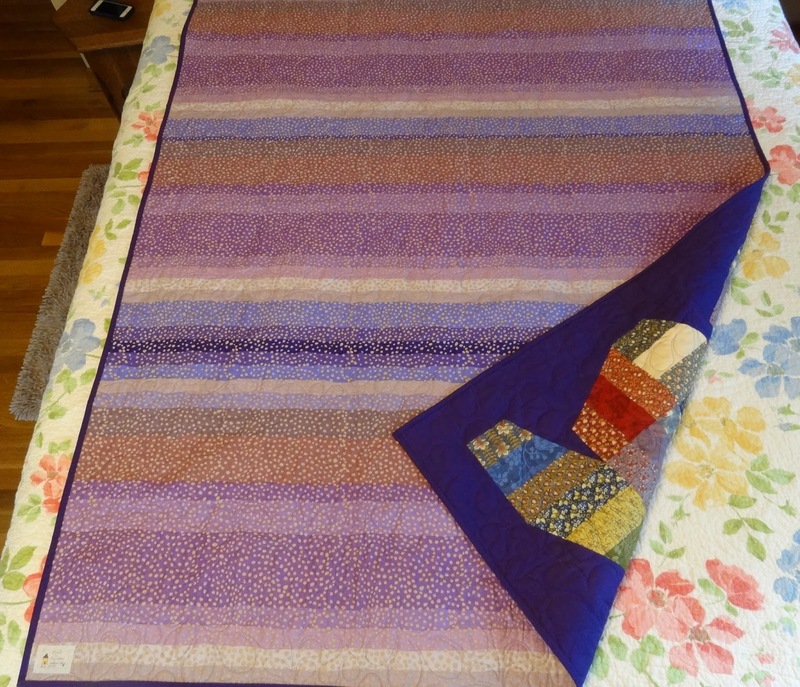 Your longarm quilting is coming along really well. Good for you! Yep, I agree...Mr. Squash is a keeper. A perfect pair!!! Can't wait to see your raisins, one of my faves! 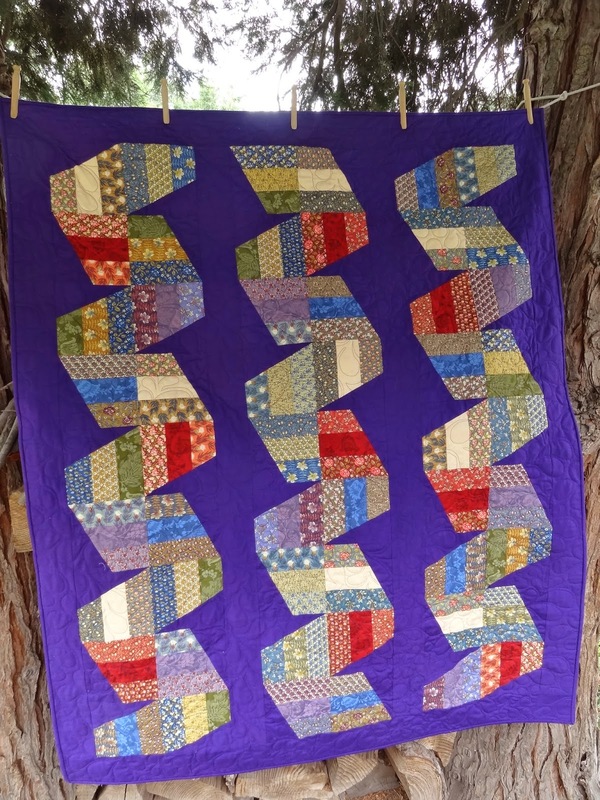 Love the quilt and the added borders finishes it! As for your dehydrator, I place mine outside on the back porch. Keeps the heat down in the house. Anxious to dee the raisins!! That's a lovely quilt, for sure. Very artistic. Don't we just love purple? Thanks for sharing. Hope those raisins turn out scrumptious. I heard it through the grapevine! What a lovely quilt. I'm sure your friend will love it and it will help her feel better. I'll be very interested to hear how you get on with the hydrator. As for Mr Squash, well if ever you decide he's not a keeper, just remember I asked first! This is gorgeous!!! I love it!! I might have to make one myself I like it that much!! I agree the backing goes perfectly with the top! I love it when that happens :-) How did it go with your dehydrator? My son and I were just trying to dry out jalepenos? a few weeks ago and we tried to use the oven, until we realized how long it would take. I didn't want to heat up the house that much either. 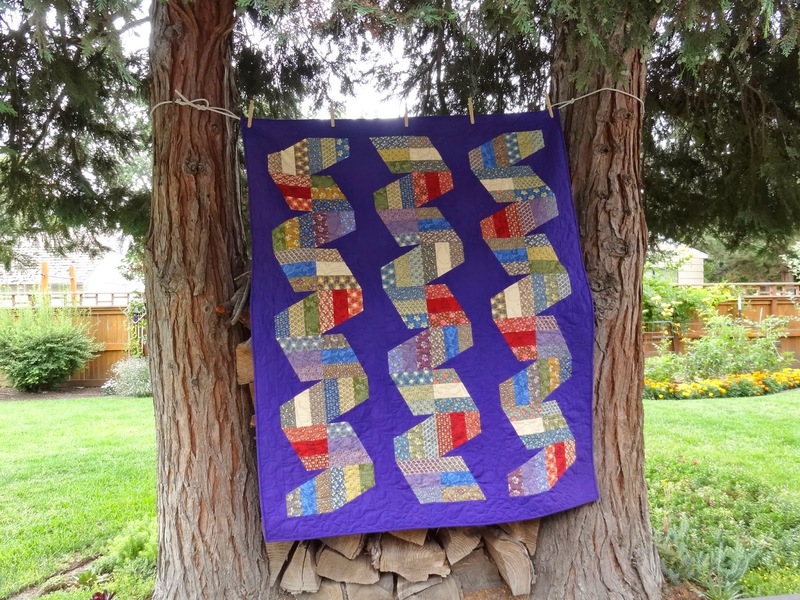 Love that quilt and the backing fabric is wonderful!! How'd the raisins turn out - you two are always up to something interesting and fun. Hugs!! YOur quilt turned out fabulous. Well done. Looking forward to see how your grapes turn out. Your quilt is beautiful . . . I love the colors. Also, I am looking forward to seeing your raisins. We have grapes and I am going to have to decide what to do with them. Maybe I need to invest in a food dehydrator. Do you use yours much? I love the quilt Candace. You and Mr. Squash make a great team (obviously). Praying comfort for your friend. That is such a very interesting and cool pattern! I really like it!